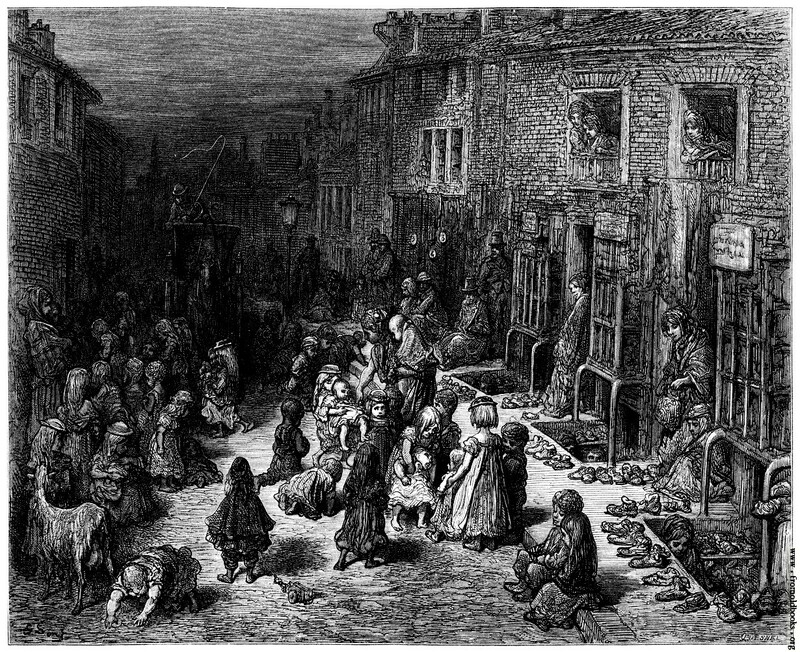 The dark, dramatic engravings of Gustave Doré have done a lot to fix our image of Victorian London, in all its murky squalor. But (as I learnt from an informative footnote in Bill Bryson’s At Home) they are in fact far from literal representations of the city. Doré was hugely popular in England, where there was a permanent exhibition of his work at a Mayfair gallery, but he spoke very little English and spent most of his time in France, pursuing a succession of love affairs (including one with Sara Bernhardt) while continuing to live at home with his mother. 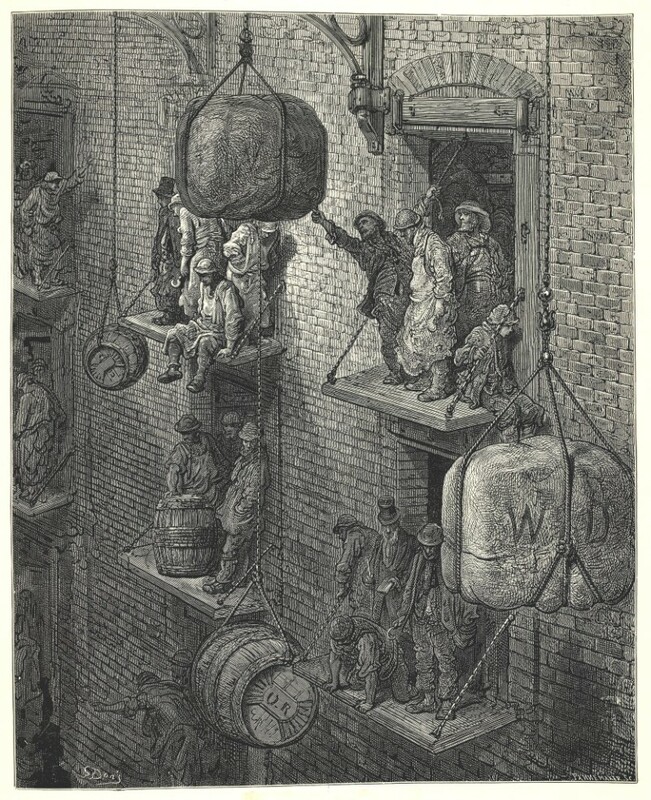 When Doré landed the commission to supply 180 engravings for a lavish new book, London: A Pilgrimage, he spent some time exploring London locations, but would make no sketches, as he couldn’t bear working in public, so his scenes were recreated from memory and imagination. Their inaccuracies became notorious, and drove the unfortunate author charged with supplying the letterpress to distraction. 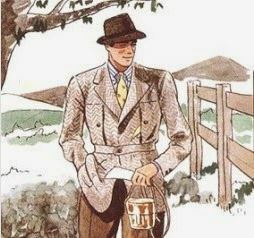 This writer was Blanchard Jerrold, son of Douglas, the creator of Mrs Caudle. 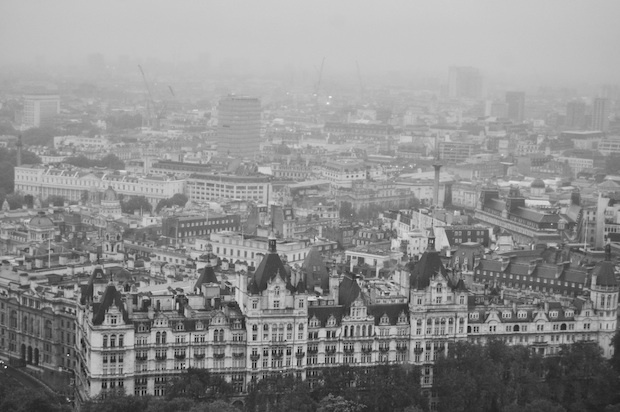 Like his father before him, Blanchard was a journalist, author, dramatist, amateur actor, and friend of Dickens. 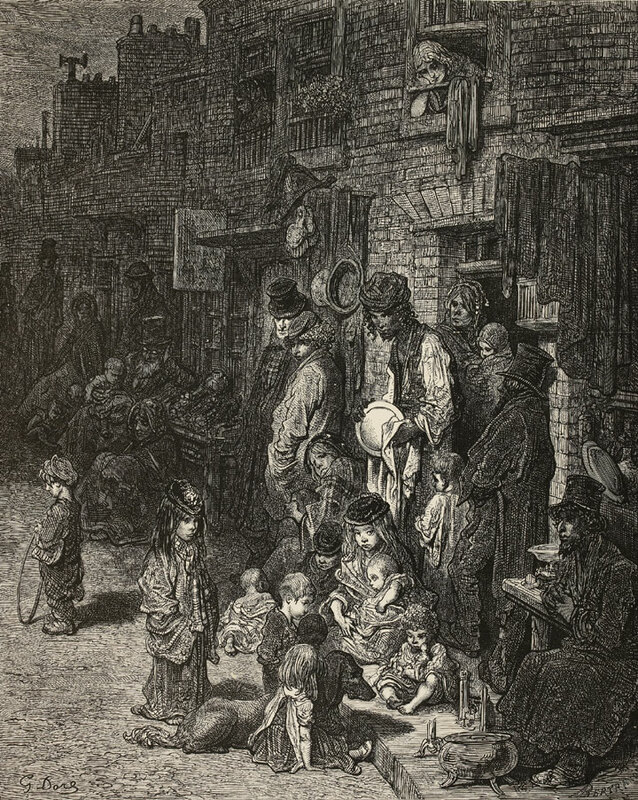 However, Blanchard and Dickens fell out bitterly when, on Douglas Jerrold’s death, Dickens, with typical officiousness, set about organising benefits for the family – and was then deeply indignant at Blanchard’s lack of due gratitude. Happily, the two men made up after a while, and Blanchard gave Dickens a presentation copy of his life of his father. 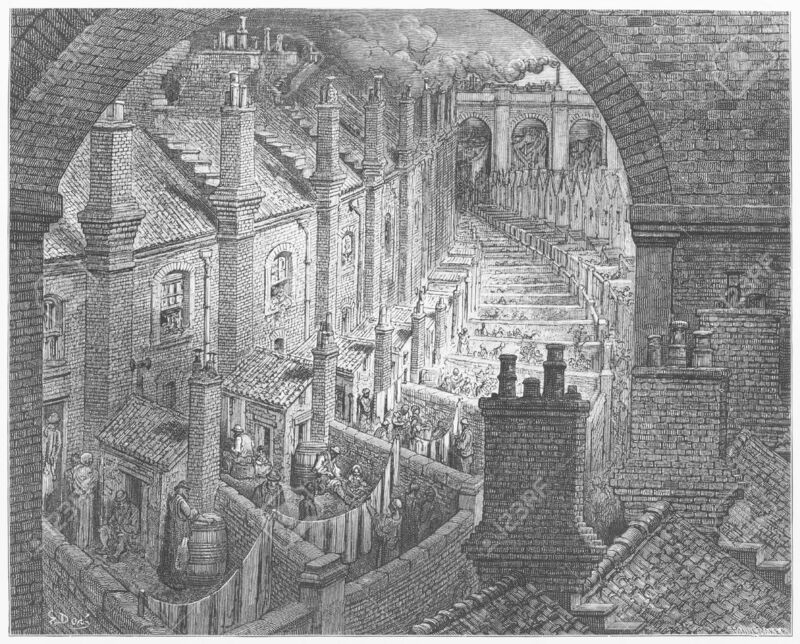 He also wrote an affectionate memorial tribute to Dickens in the Gentleman’s Magazine in July 1870. As for Doré, though he regarded himself as one of the great artists of his age, he is today remembered chiefly for those engravings of London life. Maybe in England Doré is best known for his London engravings, but here in the US it is his illustrations for The Divine Comedy that are best known. 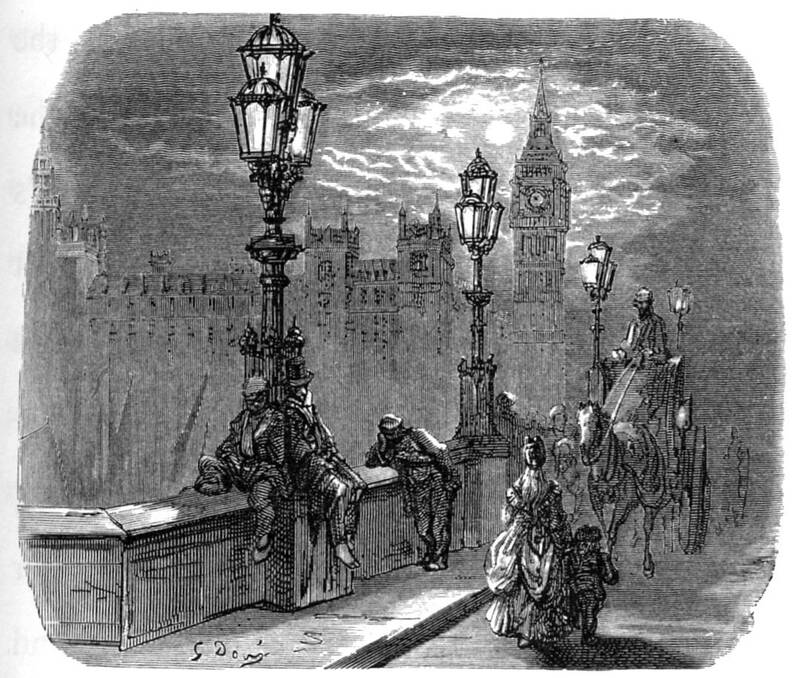 To tell the truth, I didn’t even know that he’d done a big book of London engravings, although a couple of the ones you picture are familiar.